For those who like their music to come with something of a surprise, Koan 2 sees a variety of improvisational musicians perform original compositions at Newcastle’s Globe on Friday 27th May. The night is headed up by leading electronic musician Tim Shaw whose experiences within soundscapes, electroacoustic compositions and DIY technology has led him to become internationally recognised as both an artist and musician; he’s a regular and prolific collaborator, having worked with a variety of practitioners, including natural history sound recordist Chris Watson and visual artist Hyeji Woo. 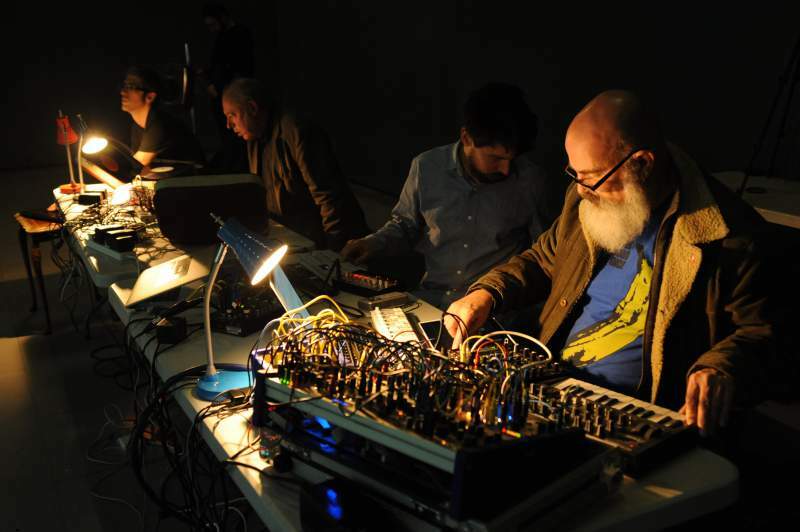 At The Globe, Shaw will perform with longterm collaborator and sound artist John Bowers, whose work with modular synthesisers, home-brew electronics and antique sound-making devices makes his music both innovative and highly watchable, particularly when accompanied by his often-used live digital imagery. Joining the pair are the miniature musical collages of Posset, plus two fully improvised live acts: the superbly named Kilo Grandma, whose ever-changing line-up often yields delightful surprises; and Heatpod, whose modal playing swirls with 70s psychedelia and old school trance. Tim Shaw & John Bowers, Posset, Kilo Grandma and Heatpod play The Globe, Newcastle on Friday 27th May.